Enticing someone to open an email is an artform. With so few elements under your control, you’ve got to hit just the right buttons to make your recipients do the same, but let’s face it, most businesses are far from email marketing Picassos. When done right, the average return on every $1 spent on email marketing is around $44.25, so it’s not a medium to enter into without an actionable strategy in mind. (Sorry Stevie Wonder fans, but emailing your contacts just to say you love them may not be the way to go). How many times have seen you a name pop up on your caller ID and cringed? Or worse, you saw a generic 1-800-Something and hit ignore immediately? This is the reaction you want to avoid when emailing your contact database. Most consumers can spot a promotional email from miles away and the sender (both the name and the email address) often play a huge part in this. People want to work with people, and by connecting them with a direct contact, you generate a feeling of personal care and also help humanize your brand. In this example from my inbox, HubSpot does a great job of balancing this strategy in their email marketing. When someone subscribes to a blog, they are usually expecting to receive a frequent, automated email, so the generic sender name is warranted. However, for an email of greater importance (in this case, one going out to HubSpot Partners asking them to join an exclusive webinar), it comes from Partner Marketing team member, Angela O’Dowd. This not only makes the email stand out in the sea of no-name spam, but let’s me know that Angela is actively on the case. It let’s me know that if I have any questions, someone specific would be available for answers. With 64% of people opening an email based on the subject line, this little one-liner holds a lot of weight in the success of your overall campaign. Your subject line needs to stand out and speak directly to your audience in order to earn their coveted click. Avoid “Red Flag” Words. Sale, Free, Deal, Save; though these may seem like words that would pull in a crowd, they’re drastically overused. Most savvy consumers see them and know that the sender is just looking for the final sale. If the reader is not in the market to buy, it comes off as cold and impersonal -- two things you never want to emulate when communicating with your customers. Be Brief. According to a study by ShowMeLeads, on average, subject lines with six to 10 words generate a 21% open rate, while those with 11-15 tend to only generate an open rate of 14%. Time is a commodity and as this study shows, to keep your reader’s interest, you need to be able to say a mouthful in just a few bites. Shorter subject lines are also better optimized for mobile browsing, so don’t be afraid to keep it short and sweet. Create Intrigue. 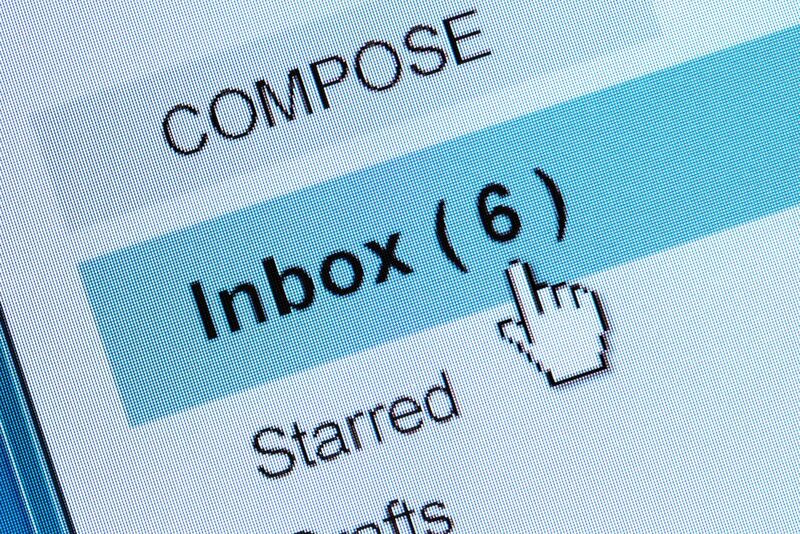 Treat your email subject line like your blog headline. It has to be direct enough to let the reader know there’s a benefit to clicking through, but intriguing enough to force them to do so. Try hinting at an incentive or even asking a question. Personalize It. Personalizing your email subject line by including your contact’s name, creates the impression that you are speaking directly to them. It creates the impression that this email was written with their individual needs in mind and as shown by a report by Adestra in 2012, this personalization makes your email 22.2% more likely to get opened. Like your subject line, your preview or “snippet text” is one of your only opportunities to convey value and show the recipient why they need to open on your email. Canva’s snippet text was auto-generated, pulling the alt-text of their header image, but even though they didn’t customize it further, they took advantage of the snippet real-estate and optimized their image alt-text for the email’s subject matter. In both examples, the subject line introduces the topic of the email and the preview texts adds a bit more detail about the value inside. This leaves the reader with no choice, but to click to get their hands on it. Like with all marketing, timing and context is key. You want to hit the reader at the right time and in the right mindset in order to elicit the right action. For example, in a recent study, KISSMetrics found that emails relating to work or financial services tend to perform best directly after lunch when employees are “in the zone”, while holiday promotions or those regarding vacations tend to do best after hours when employees are working late. Habits like these are important to know about your audience when determining the best time to send a promotional email. What Can You Do? Test and analyze, then test and analyze again. Though industry resources like KISSMetrics’ can be helpful at choosing a jumping off point, nothing is more valuable than data from your own contacts. If you’re just starting out, use general buyer behavior to determine the best delivery time. The audience’s response to this email can then be used to benchmark your next campaign. No two contacts are alike so never assume they would be interested in reading about the same things either. While emailing your entire contact database may seem like a fast, efficient way to get the word out, broad, un-targeted emails like these are destined to garner high unsubscriptions, low open rates, or worse, spam reports. These bulk emails lack the specifics needed to truly resonate with a persona and elicit action. Geographic Location: Is location critical to the subject matter of your email or business? If so, it doesn’t make sense to reach out to individuals outside of that area. For example, if it’s winter and your company specializes in snow removal, you wouldn’t want to send an email to a contact in Florida. Limit your list to individuals who will realistically be interested or be able to take advantage of the value you are providing. Past Buyer Behaviors: Look at past buyer behavior to determine their position within your buyer’s cycle. If they have been actively engaging however, you are more likely to see a positive response. Job Title: Regardless of your product or service, it is unlikely that you would speak to an intern the same way that you would a CEO. Take note of job titles and cater your lists or the content of your email accordingly. If I leave you with any advice about email marketing, it’s don’t rush. A successful promotional email is well thought-out in every way. At the beginning of the month, sit down with your marketing team and brainstorm what you have coming up and what would benefit from an email blast. From there you can dive deeper into who should be receiving it, when, and what exactly, they want to hear.